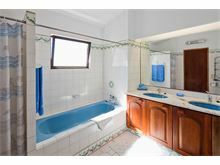 Tucked away in a quiet corner of the very popular Vale do Milho development close to Carvoeiro town centre this is an ideal family villa. 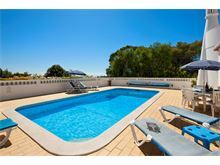 With plenty of space and sea views from the pool and roof terrace, plus the bonus of a heatable pool for the cooler months, the property is a great base for a perfect Algarve family holiday. Close to a few restaurants, a 9 hole beginners golf course and about 1.5kms from Centianes beach means there are a few things reachable on foot, with the lively town centre offering a wide choice of bars and restaurants just a couple of minutes away by car or taxi. For meals at home there is a choice of barbecues, one by the pool with built in seating and a secluded courtyard accessed from the main house, ideal for al fresco dining on breezy evenings! 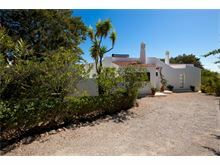 Approximately 1.5 kms to the nearest beach and 3 kms to the centre of Carvoeiro. Guest cloakroom off entrance hall, kitchen with dishwasher, 2 twin bedrooms share a full bathroom. Dining room with glass doors leading to a very private inner courtyard with barbecue. 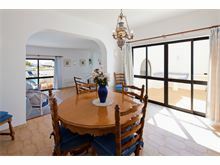 Steps down from the dining room to an open plan sitting room with doors out to the pool and terrace, 1 double bedroom with full bathroom en suite. Second barbecue on the pool terrace. Maid service 5 times per week. Pool heating and WiFi are available at extra cost, if required. 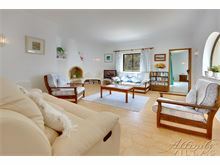 Quiet location but close enough to beech plus restaurants. Great spacious villa and would recommend staying there. 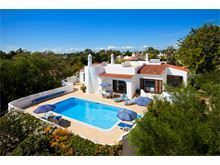 56 Vale de Milho Golf is a superb traditional villa in a fantastic location. 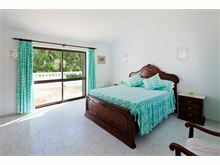 Very private, short walk from a beautiful beach and walkable to the resort centre. Yet again Affinity provided us with a holiday we will never forget - thank you Affinity!! Great time had by all, weather mixed but pool made up for it. House is in a good location, not overlooked by others. Very comfortable and well equipped, in fact we are thinking of booking it again. Booking the villa with Affinity was very straightforward and trouble free. 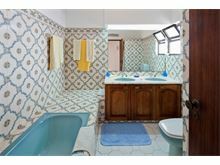 The villa lived fully up to expectations and in some respects surpassed them. Villa instructions are good and not overly fussy (as some are). The villa was really spacious and the pool was a really good size and not overlooked. 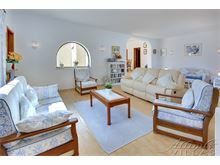 This lovely spacious villa, which is not over looked, is situated in a pretty and very peaceful area and has a sea view. With everything to make use of, the villa was very comfortable with the books, CDs and DVDs an added bonus. A real home from home. A very straightforward booking process and the pack before travel was very useful and informative. We had a really wonderful relaxing week in beautiful surroundings and look forward to returning in the future. Thank you. 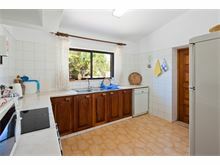 Great location for a villa nice walk to the beach and a 25 minute walk into town . Lovely location with amazing views. Pool was definitely needed in the hot weather! Some lovely restaurants within walking distance, and a great base to explore the Algarve. We did enjoy the villa immensely. 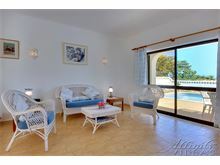 The location is stunning and the villa felt like a home away from home. 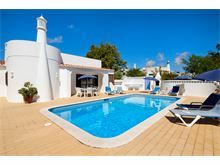 We absolutely enjoyed the privacy tranquil surroundings and amazing swimming poll, stunning experience and we will most definitely consider another holiday at the Villa only next time we will want to stay at least two weeks. 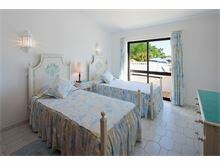 We loved our holiday at 56 Vale so Milho and found the service we received from Affinity Villas to be excellent. 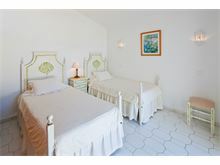 The villa was better than expected and wonderfully spacious and well equipped. All the books and DVDs were an added bonus and made it feel very homely. The villa was beautifully clean on arrival and the welcome pack was superb, much better than expected. A great stay which was enjoyed by all. 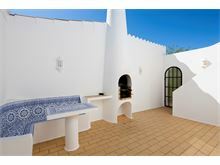 It's a beautiful villa in a lovely secluded spot. Thank you very much for a super holiday. The villa surpassed our expectations on most levels. Our holiday was fantastic. The view was beautiful and the garden well maintained. Lovely villa and pool. Would stay here again. 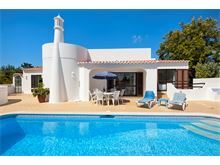 Lovely villa conveniently located close to Carvoeiro. Benefits from the sun all day around the pool but is sheltered from the wind when swimming. The villa was beautiful, equipped with everything you need. Amazing pool, great housekeeping service - the villa was kept very clean. We had a fantastic week. We would definitely go back. Lovely villa in a great location. Generally quiet making for a very relaxing holiday! Missing the Algarve already! Villa was just as described and better than the photos on the website ! Very good situation - private not overlooked. Carvoeiro town/beach and lots of other lovely beaches within a short drive. We had a great holiday and are already talking about returning next year. Many thanks.